What To Do With Leftover Halloween Pumpkins – Clever Ideas You Probably Haven’t Seen Before! Don’t waste those pumpkins you carved for Halloween this year! Here are a bunch of fun ways to use leftover Halloween pumpkins. See lots of food & party recipes using a leftover pumpkin — like pumpkin butter, pumpkin donuts, pumpkin milkshakes, roasted pumpkin seeds, and more. Plus, how to make DIY planters & flower pots, serving bowls, pumpkin toss games, and dog toys. Heck, you can even use leftover pumpkins to make a healthy facial mask, feed the wildlife in your yard, or plant the seeds and grow your own pumpkins for next year! Scare Yourself Silly This Halloween: 7 Scary Things To Do (Alone Or With Others) And Terrifying Halloween Activities To Try… If You Dare! See if these Halloween activities are terrifying enough to scare even YOU! Here are 7 intense and scary things to do at night. They’ll leave you wondering why you ever decided to attempt this frightening challenge in the first place! 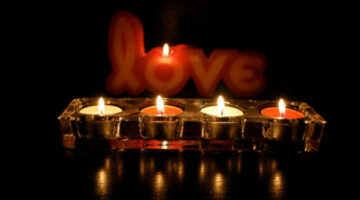 Fun Super Bowl Party Ideas …Activities That Even Non-Football Fans Will Enjoy! Lots of fun games & activities to play while you’re watching the Big Game (or not watching it). These Super Bowl party ideas will keep everyone entertained – even non football fans and kids! You can use the Vegas Super Bowl bets from past years to wager bets at your home Superbowl party. (Just for fun, of course.) Here are some great ideas for coming up with Superbowl betting lines. For your Super Bowl party, here’s the best recipe for ‘original’ Buffalo Wings + Fun football-named cocktails. Like chicken wings? You’ll love this buffalo chicken wings recipe! 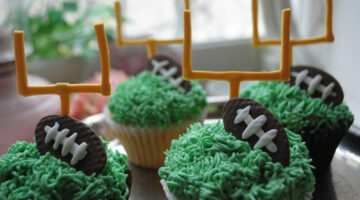 10 Awesome Ways To Decorate Football Cupcakes & Score Big At Your Superbowl Party! Cupcakes are the perfect party food! They can be can be simple in style or ornately decorated for any occasion — including ALL sports, not just football. So you can take these ideas for football cupcakes right on into the next sporting season that your family enjoys after the Superbowl. If you’re hosting a Super Bowl party this year, you’ll appreciate these fun ideas: Super Bowl themes, Superbowl food, Super Bowl party games & DIY Superbowl invitations. Christmas treats are usually full of fat and sugar. Not these! 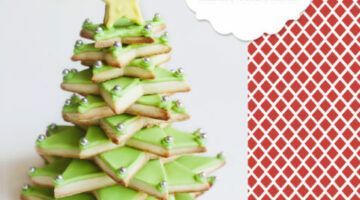 These 8 healthy Christmas snacks are a cinch to prepare, and they won’t pack on the pounds! 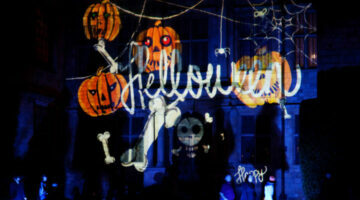 Lots of great ideas for DIY Halloween props & special effects. Most have simple instructions for props & special effects you can make. A few you can buy. You may have seen sites that help you make food recipes using ingredients you already have on hand. Now, there are sites that help you make bar drink recipes using the alcohol and mixers that you already have on hand! So, what’s in your liquor cabinet right now? In addition to making pumpkin pie shots and pumpkin drink skewers or stir sticks, you’ll find LOTS of Halloween drink recipes for punch and other cocktails, as well as non-alcoholic Halloween drinks for kids and adults alike. Step-by-step instructions to make some of the most gruesome looking Halloween foods that I’ve ever seen. And I’ve seen a lot of scary Halloween foods! The best part… as gross as these foods look, they’re all 100% edible! A collection of the best tips for throwing a St. Patrick’s Day party. There are helpful videos, and lots of fun tips which highlight everything you need to do to make your St. Paddy’s Day party extra special. Make your next party a flash back to simpler times. A retro party can take someone back to their childhood or enlighten a younger person to what life was like back then. Besides it’s a good excuse to take your Poodle Skirt out and put it to use. Creating unique Halloween costumes for your party will make it a hit. Here are a few fun Halloween party tips. Plus, some ways to use all that leftover candy once the party’s over. Here are some fun ideas to consider for your St. Patrick’s Day party, including handmade invitations, green food and drinks to serve at your party, how to decorate and find St. Patrick’s Day decorations, plus fun St Patricks Day party activities and games. Instructions and videos showing how to make a variety of green drink recipes including: green beer, green alcoholic cocktails and non-alcoholic green drinks. These will make any St. Patrick’s Day party a huge success. Or, if you’re playing it low-key this year, your family will enjoy the non-alcoholic green drink recipes for a change of pace.